Have you called Miss Dig and the power company? Did you know that power, cable TV, and gas lines may run near or under the roots of your tree? 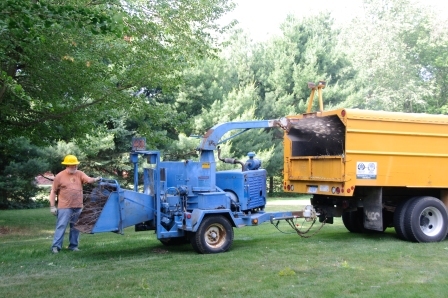 If you will be removing a tree near power lines that connect to your house, or if you will be having a stump removed, always make sure the power is turned off and that you know where all underground utilities are located. Is That Really Your Tree? Thinking about removing a tree or having branches removed from a tree near the edge of your property? Make sure the tree is really yours. Often, especially with older homes, your property line is not always where you think it is. Cutting down a tree you do not own can be very expensive for you if the real owner wants it replaced or wants to be compensated for the lost value to his/her property. Arbor Tree Care does not verify ownership of trees before cutting. The customer is solely responsible for all damages resulting from cutting down or trimming a tree the customer does not own. Arbor Tree Care has a strong relationship with the West Michigan community. That's why we support our friends and local businesses with our business and we encourage you to do the same. Please visit our friends' and customers' websites here.